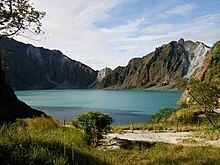 This article is about the Philippine province. 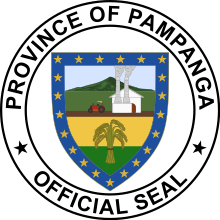 For other uses, see Pampanga (disambiguation). The population of Pampanga in the 2015 census was 2,198,110 people, with a density of 1,100 inhabitants per square kilometre or 2,800 inhabitants per square mile. If Angeles City is included for geographical purposes, the population is 2,609,744, with a density of 1,265.351,265/km2 (3,277.243,277/sq mi). The native inhabitants of Pampanga are generally referred to as the Kapampangans (alternatively Pampangos or Pampangueños).